Where #SeriousHorsePeople come to better understand digestive health in horses and its impact and management. Dressage is a sport about detail. For international dressage competitors Steffen and Shannon Peters, attention to these details contributes to the beauty of their performances, and helps their horses stand out among the best. The Peters are constantly researching new information and are interested in providing the best possible care for their horses. It is this research that led Shannon to SUCCEED Digestive Conditioning Program in late summer 2005. – Marlando, Floriano and Luxor. Shannon didn’t share with Steffen which horses were being fed SUCCEED, making the trial truly a blind test for him. This would be a difficult trial for SUCCEED as well. Marlando, Floriano and Luxor are three horses often found at the top of the world’s toughest dressage competitions and they – as with all of the Peters’ horses – are meticulously managed for optimum health and performance. Could SUCCEED make a difference for these successful competitors? After starting the horses on SUCCEED, Shannon noted an overall improvement in relaxation at home almost immediately. Within three months, changes were so obvious that Steffen was able to identify which horses were on SUCCEED. Trainability, relaxation and the ability to work longer were all apparent. 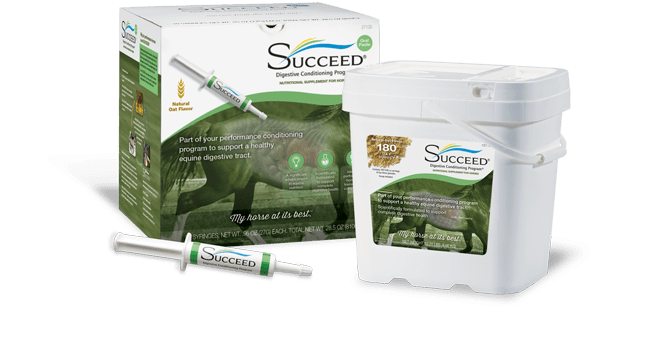 Sign up for our monthly enewsletter for exclusive educational articles on equine digestive health and management, the latest updates from the SUCCEED blog, and news and special promotions. We just need a little more information. Please fill out the rest of the form below. 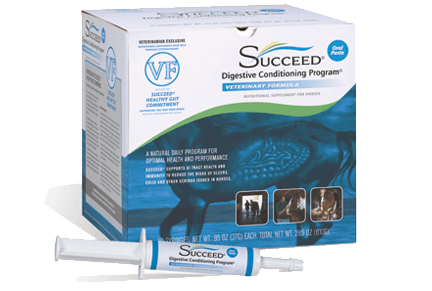 SUCCEED and Digestive Conditioning Program are trademarks of Freedom Health, LLC, registered in the United States.